158 products matching your criteria. 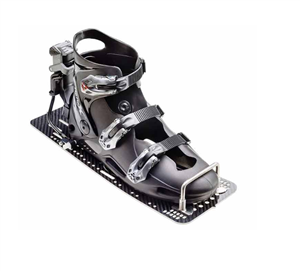 The decision on what water ski bindings and boots to pair with your ski play a big role in the overall performance of your setup. 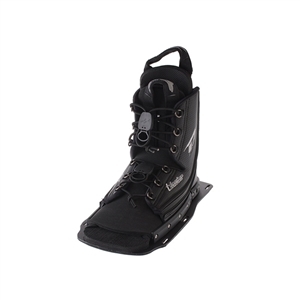 We offer a variety of waterski bindings and boots for all skill levels, whether you're just starting out on the slalom course or you're a tournament level skier. We stock the top brands in waterskiing, each brand with their own unique styles. 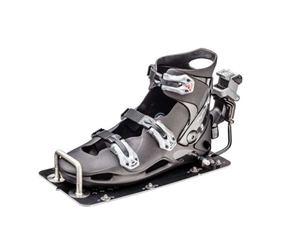 We have a large selection of trick, jump and slalom ski bindings from the most innovative manufacturers in the industry, such as Radar, HO Sports and Reflex. Our catalog of our water ski bindings includes a variety of water ski boots, rear toe plates and water ski binding plates. Water ski athletes choose between hard shell, rubber and hybrid waterski bindings depending on their personal preference of ski responsiveness to their movements. 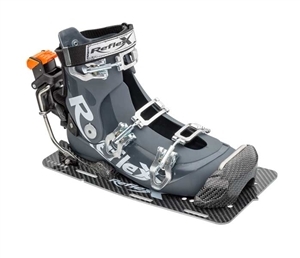 Whether you are setting up a new pair of bindings on a blank ski or replacing your old water ski boots to gain a different sense of control, our selection will provide just the right options for ski responsiveness and custom features to match the riding style that you are looking for. We know that selecting the right bindings can make all the difference so we are always happy to help you choose the right water skiing equipment. Don't hesitate to call us at 305-438-9464 to get professional advice on selecting bindings and boots for your water ski.